Below you will find the option to Print, Save, Text or Email your complimentary Prescription Weight-Loss Rx Card. Once you obtain your card, bring it to the pharmacy with your prescription to get up to a 75% discount at point of sale. 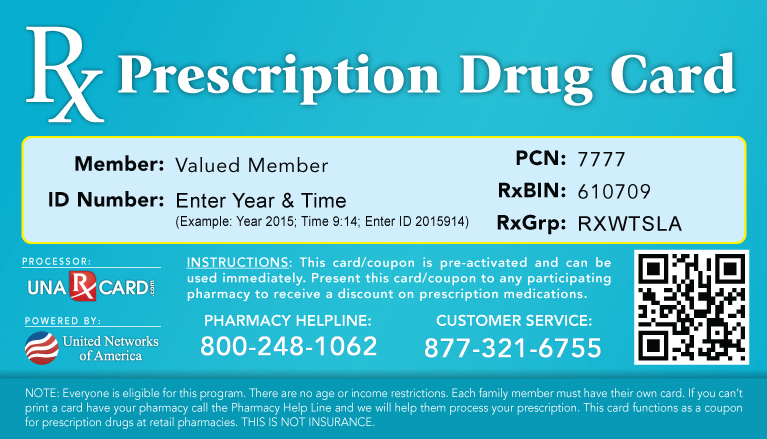 Get your FREE Prescription Savings Card below! Click on this free prescription drug card to download it instantly. STEP 1: Print this card, it's pre-activated. Everyone is eligible for our weight-loss prescription assistance program. Most insurance plans do not provide coverage for prescription diet pills. Therefore, if you currently have prescription benefits, you may still benefit from the Weight-Loss Rx Card.